​iTelescope.Net Australia provide remote telescope hosting in the southern hemisphere. iTelescope has installed and operated many remote telescope systems around the globe, on three continents. They include record breaking, custom made platforms with literally hundreds of thousands of successful imaging missions. Experience gained during a decade of remote telescope astronomy has made iTelescope.Net the world leaders in Web Based Remote Astronomy. 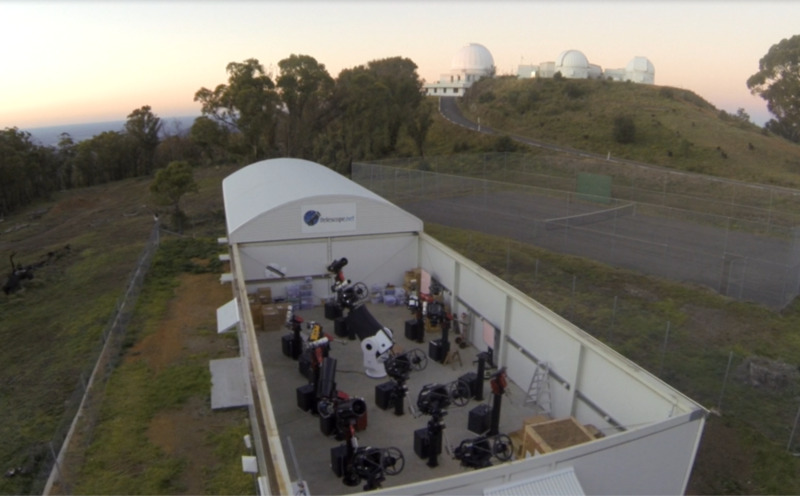 iTelescope provides a remote telescope hosting service within its superb Siding Spring Observatory. Your own telescope can explore the skies of the southern hemisphere with our talented staff doing all of the intricate setup work for you. The iTelescope Siding Spring Observatory is situated under pristine, dark and clean Australian skies second to none. Situated within Australia's first Dark Sky Park. Don't have a telescope of your own? iTelescope can design and provide you with a ready to go 'turn key' remote astronomy solution. Take full advantage of our close, long term relationships with some of astronomy's major telescope manufacturers. We have expertise in optics, remote telescope design, IT computing, application development & Internet networking. Copyright © 2014, iTelescope.Net Pty Ltd ATF iTelescope.Net Trust. All rights reserved.